The conglomerate's Christmas performance was hobbled by low sugar prices. Discount clothing, Ryvita, enzymes and sugar are an odd combination of products for a business, but at least they allow Associated British Foods to hedge its bets. While its clothes store Primark has charged ahead with total sales up 12% in the 16 weeks to January 3rd (15% at constant currency), its sugar division is struggling because of falling market prices. Overall, ABF’s sales were up 1% in the period, although this would be around 3% if it weren’t for the strong pound. Primark’s success was in part thanks to expansion in Europe, where it has opened three stores in Germany and four in the Netherlands since September, bringing its total up to 287. Total like-for-like (LFL) sales figures weren’t disclosed, but Primark said they had increased in Britain, Ireland, Portugal and Spain in the same period. The chain has more European stores in the pipeline and a US launch planned at the end of the year. 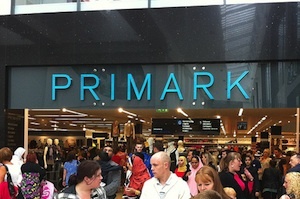 If that risky venture pays off then don’t expect Primark’s growth to slow down any time soon - if it doesn't have to give sweeteners to ABF's sugar division anyway. In other high street news, Argos and Homebase owner Home Retail Group hasn’t been faring so well. Sales at Argos, which now has 756 stores, were up 0.8% in the 18 weeks to January 3rd, but this was mainly because of new store openings. LFL sales were up just 0.1%. Homebase has ditched 12 stores helping push up LFL sales by 0.6%, but total sales were down 2.7%. Despite their problems, Home Retail Group left profit expectations unchanged. Investors weren't impressed though - its shares tanked as much as 8% to 195p in morning trading. One way of interpreting these results is to see a greater polarisation of retail, as discounters and high end stores perform well at the expense of those in the middle of the road. This has been evident in the supermarket sector, where Waitrose, M&S's food division, Aldi and Lidl are outperforming the 'big four'. There are exceptions though, with the likes of Next delivering a pretty strong performance over Christmas. Home Retail Group's stores are both quite generic, targeted at consumers with a wide variety of income levels. There was a time when that was an asset, but it's looking increasingly like a hindrance. Mass market retailers clearly have a fight on their hands to keep customers on board.